Cubans are quite resourceful about getting around in colorful ways. Transportation takes the form of horse-drawn-wagons, trucks, bicitaxis, cocotaxis, and classic American cars. Take a look! 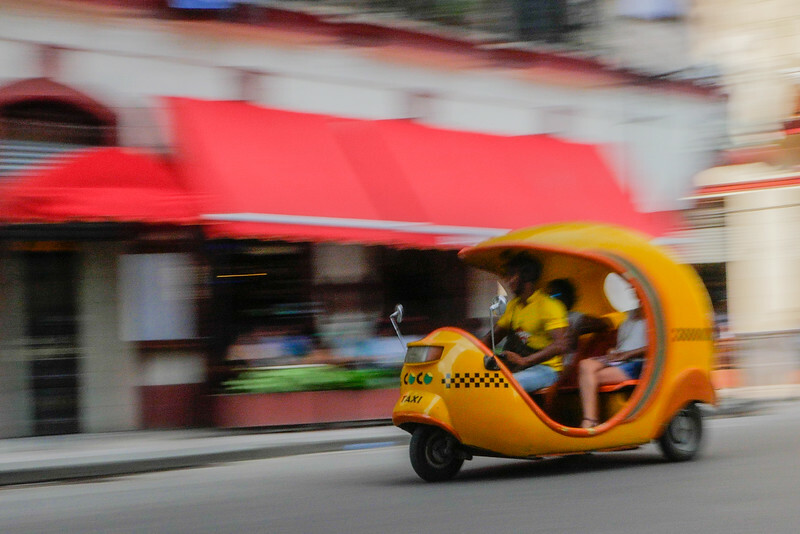 Cocotaxi i in motion, Havana, Cuba, June 11, 2016.